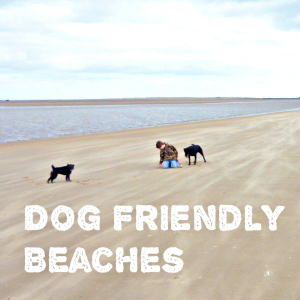 Looking for dog friendly beaches? There are loads of great beaches to walk the dog around the coast. Some beaches are dog friendly all year round, others operate a seasonal dog ban during the spring / summer holiday months. Look out for the signs. Areas which ban dogs will normally be clearly sign posted. There are restrictions in place on main resort beaches between 1st May and 30th September. 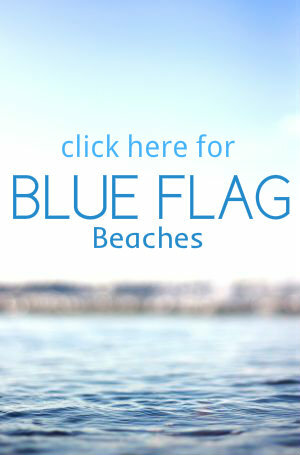 Dogs are banned from all Blue Flag beaches during the holiday season. PLEASE BE A RESPONSIBLE DOG OWNER Dogs should always be kept on a lead in public places unless otherwise advised… and don’t forget to ‘scoop’ the poop! Place your bagged dog waste in the red dog bin. Dog bins are usually located adjacent to the beach or walking areas.